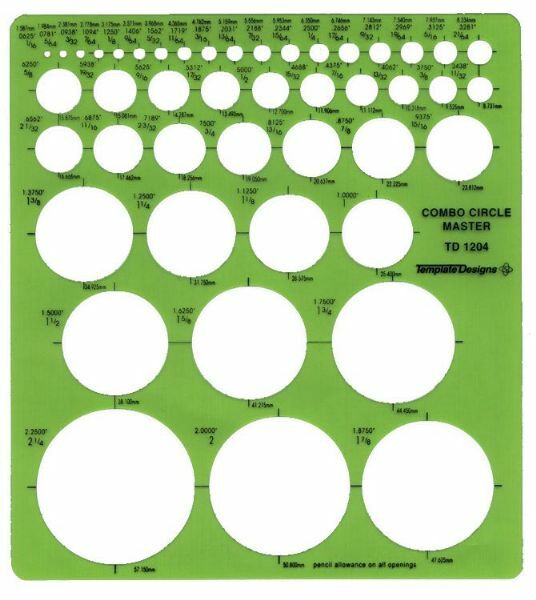 Contains 45 circles from 1/16" to 2¼". * Size: 7¼" x 8¼" x .030". The scale is 1/16" - 2 1/4". Scale: 1/16" - 2 1/4"
11.5" x 5.5" x 0.13"